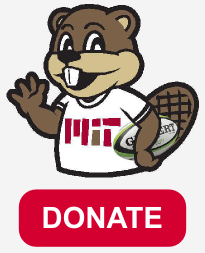 Spring season practice has just started, and will continue for the next few weeks on Tuesday and Thursday at 7-9pm on MIT's Roberts Field, in advance of the first game of the season across the mighty Charles river at Harvard Business School. On November 10, 2018, MIT hosted Old Gold at Briggs Field for their final match of the fall season. With a playoff spot still up for grabs, MIT needed a win and some help from other teams to squeeze into the last playoff spot. Knowing that they could only control their own result, they set out to get the W at home. Playing in front of their largest crowd (not just Greg and Ashley! ), and with their largest available player pool, and with the wind at their backs, and with the sun popping out just before kickoff, MIT were primed to get off to a quick start. On Saturday, October 27, 2018, MIT traveled to Springfield, MA to take on the Springfield Rifles. With the top 4 teams in the league making the playoffs, MIT at #5 and Springfield at #6 were both in the hunt for playoff contention and looking for a win. A nor’easter scared away the usual pre-game flag football spectacle, leaving the MIT ruggers hiding in their warm vehicles to avoid the cold rain. Only one super-fan, Ashley, was brave enough to stand in the cold before start. On Saturday, October 20, 2018, MIT traveled to Stowe, VT to take on Mad River RFC. The team was treated to some prime leaf-peeping on their trek up to VT. It was a sunny but windy fall day. MIT played uphill and into the wind in the first half. With the elements against them, MIT attempted to play conservatively with hopes of opening it up in the second half. Unfortunately Mad River ended up dominating possession and MIT never got into a rhythm to do much of anything. Mad River outworked MIT, who were unable to string together consecutive phases. Mad River scored first to make it 7-0.